Big data is data that include a comprehensive variety arriving in increasing the volume and ever-growing velocity. 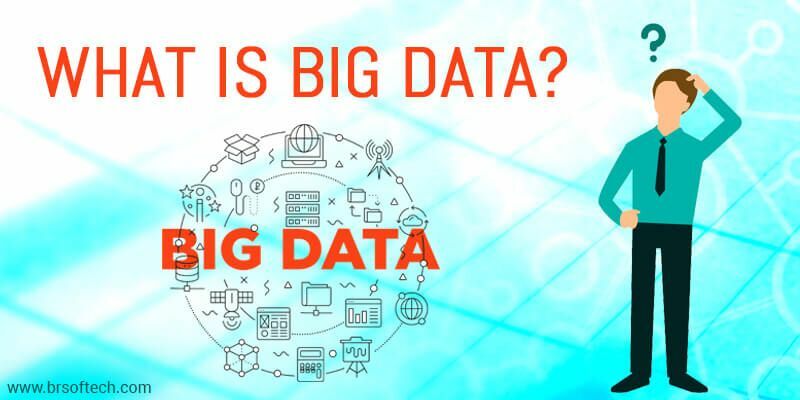 In simple words, big data is a complicated set of data which cannot be handled in the traditional way as it requires hence, it helps in maintaining data with greater velocity and in the most efficient way. Data is nothing if its value is not being recognized efficiently. It helps you address business activities from data analytics to customer experience. Big data allow you to take a strategic decision and improves the overall decision-making process whether it’s managing finance and planning business strategies. Determine all the factors that impact business goals and allow you to make beneficial decisions. Data help business to target the right audience and make the right decision. It helps in investing wisely and making business-driven strategies. Keep your workforce working towards business goals and make full use of data in relevant areas. Aligning data strategy to business goals helps in generating the constant result as using data wisely allow business to meet usability with scalability. Big Data Analytics Services help business to predict their ability to meet customer demand and allow them to improve customer experience. It helps you understand the traffic pattern and average delivery time of the product to satisfy the need of customers. It allows business to meet commitments and allow them to make real-time decisions as per the requirement. Once businesses start to understand the big data and make use of it in the most consistent manner, then the purpose can be resolved and any business can generate great revenue. Big data allow the business to consider and analyze data to improve the entire business process. It helps you develop ownership inside the team and allows you to run the business more effectively. It improves customers’ lives and helps you develop SWOT analysis. SWOT stands for strength, weakness, opportunity, and threats. It helps businesses understand all and assists in generating revenue by expanding the organization. Big data allow you to have greater control over data and helps in cultivating strong co-worker relationship. Big data helps the organization to boost the sale and to increase the revenue in the most definite way. It helps you conduct linkage analysis and use data to deliver a targeted audience with the service they require the most and analyze what their needs are. It helps to increase conversion and finally boosts business sale. It’s a game changer opportunity for businesses and helps in managing ever-increasing volume, variety, and velocity and simplifies the complexity of information. 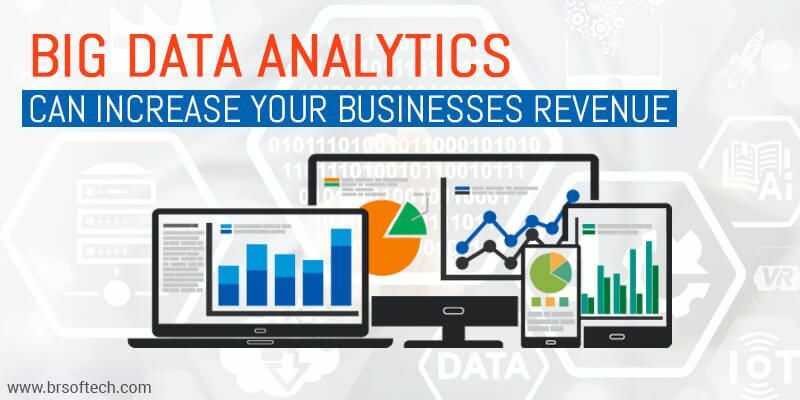 Big Data Analytics Consulting Services help you optimize your marketing investment by identifying the customer who will opt for your services again and build long term relationship. Repeated customers increase the business and maximize customer value with the help of big data. Big data investigate organizational data and maximizes the value of a customer by separating the repeated customer data. For better CRM (Customer Relationship Management) big data play a crucial role. It helps in providing with better personalization and customization while providing with a better understanding of customers. For any business, it’s essential to provide the customer with a personalized touch to grab the customers attention and generate greater revenue. For any business and organization, it’s important to understand the requirements of the product at the right time. There are various products which can be offered, therefore, big data helps in ensuring the business to target the right product at the right time. Product requirement may fluctuate by season or region, hence, big data helps in making the right decision at the right time. One must know how to get the best return on investment, measuring the positioning of the product. Bight data support you measure the best location and help you drive engagement and sales with great advertising tactics. It can be expensive, sometimes but will help you get a sound return on investment with increasing the sale and engagement. Big data analytics is really helpful to predict customer behavior. It can analyze customers buying behavior and help the business to grow rapidly. Analytics can also be used to compare and predict outcomes of various promotions and campaigns to help the organization get a beneficial return on investment. Big data helps you analyze prior data from past campaigns and help you generate the report along with buyer persona. It helps in getting the data to consider for your email campaigns and help you cover your targeted audience. It’s one of the most effective and efficient ways that really maximize rates by message to a specific group of your email campaign segment. All business to consumer marketers is using big data to get greater insight into customer behavior. It helps in increasing revenue as per customer and improvement in existing products and services. It reduces working capital cost and helps the market to increase business scalability with increased revenue. Big data play an important role in business. Many huge organizations are already using this technology and providing beneficial results and a high return on investment. Its integration into sales and marketing help the business to market their product to automate sale and increase contextual marketing. Many huge organizations are relying on this technology and providing with long term success.